“It is expected to be a fantastic duel of the best clubs of Russia and Europe. The reigning Champion of the Men’s European Champions League against the reigning Champion of Russia and winner of the ETTU Cup! It will be the battle of the titans! Our rivals are very strong”, said Orenburg`s head coach Victor ANDREEV. Orenburg fights for third MECL title in a row, while UMMC hopes that continues its way to first ever crown of main club`s competition in Old Continent. 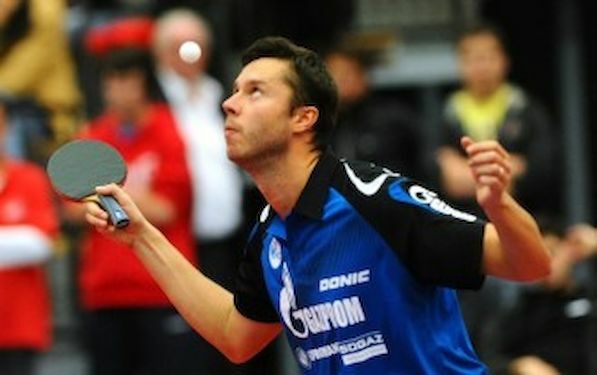 Vladimir SAMSONOV, Dimitrij OVTCHAROV and Alexei SMIRNOV suffered their first loss this season in 1st semis, when Japanese Jun MIZUTANI brought two wins to UMMC (OVTCHAROV 3:1, SAMSONOV 3:0) whilst victorious point to Tatiana KUTERGINA`s side came from Alexander SHIBAEV who overcame Dima OVTCHAROV in fifth match, playing five sets. “The first match in Verkhnaya Pyshma was tremendous and tense”, stressed ANDREEV. “The exciting show kept the fans in suspense for over four hours. We lost unfortunately. But let’s remember that the finalist is defined in results of two matches. Our team is incredibly motivated. We are determined to win this hardest battle”. Last couple of days UMMC players had preparation at Werner SCHLAGER Academy in Schwechat (without MIZUTANI who was in Germany). Head coach Tatiana KUTERGINA said: “We trained twice a day. I am very satisfied with the shape of TAN Ruiwu and Alexander SHIBAEV”. One of UMMC`s directors Yana ZAKHAROVA emphasizes that this game will be some kind of final: “We, as well as our fans, are preparing to go to Orenburg to support our players in Orenburg”.